Unilet's next Sinful Saturday sale offers Leema range at 'bonkers prices' | What Hi-Fi? 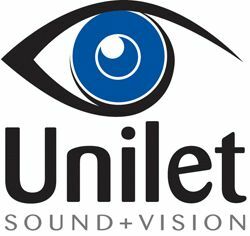 Unilet Sound & Vision in New Malden will focus on products from Leema Acoustics in its next Sinful Saturday Sale, taking place on May 28th. Leema owners Mallory Nicholls and Lee Taylor will be in the store all day to demonstrate the complete range of Leema amplifiers, CD players and speakers. Included in the sale, and on demonstration for one day only, will be the Leema Reference System. This consists of a Pyxis preamp (below) and two Altair IV monoblocs. The system normally costs £21,000, but will be available for less than half price at £9,999. The electronics will be partnered with a pair of Xanda II speakers in piano black lacquer. Normally priced at £6495, they'll be on special offer at £2995. Additional offers across the Leema range will be available throughout the day. Unilet director Vernon Hamlin says: "The discounts we have negotiated with Leema are such that even we can't believe them, and to find out just how bonkers they are you'll just have to come along on Saturday."